Caseling travel hard case bag for ''iriscan book 3, iriscan book 5 and iriscan book 5 Wi-Fi portable document & image scanner'' perfect fit; we've specifically designed the baseline case to fit your iriscan book portable document & image scanner. Premium Eva case; the baseline hard case travel bag for iriscan book portable document & image scanner is made of premium hard Eva to provide durability and a long-lasting performance. (Scanner not included) 100% safe; the case is Semi waterproof, shockproof, stylish and durable. Will prevent any damage to the scanner. - classic zipper convenience for easy in opening and closing. 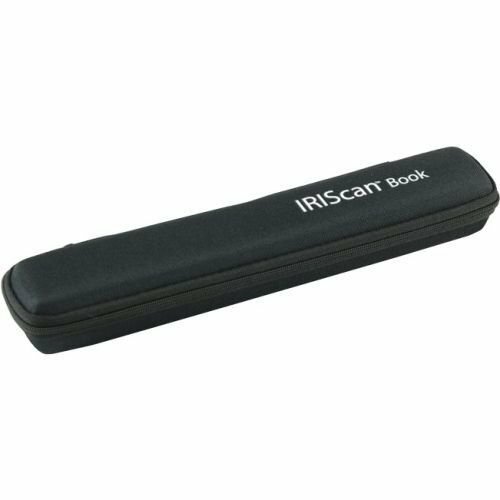 Perfect fit; Travel hard case bag for ''iriscan book 3, iriscan book 5 and 5 Wi-Fi portable document Scanner'' we've specifically Designed the caseling case to fit your iriscan book portable Scanner. 100% safe; the case is Semi waterproof, shockproof, stylish and durable. Will prevent any damage to the Scanner. - classic Zipper convenience for easy in opening and closing.